One of the many leading practitioners of west coast graffiti style in the early 1980's, Jesus Diablo, (1959-) painted controversial murals in the parking garage for the Whitney biennale. Diablo retreated from the art world for the rest of the twentieth century but remerged in the new millennium when he became acquainted with Doof imagery and culture through a friend, artist Tim Sharman. 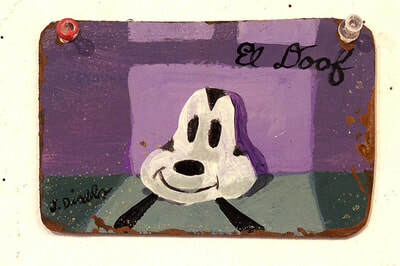 Diablo began a Doof graffiti project in 2004 using a street persona, Mazo and created urban friendly disposable graffiti. 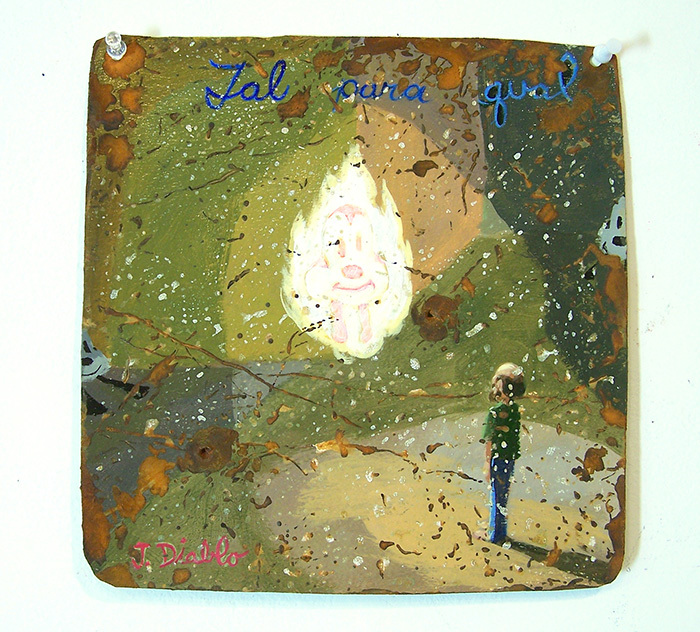 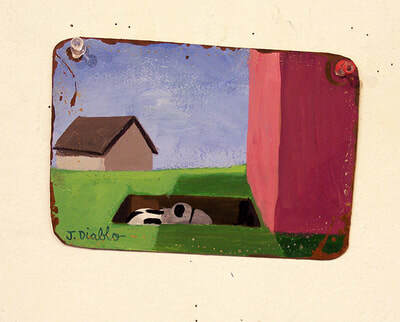 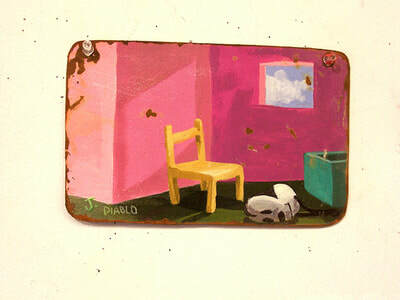 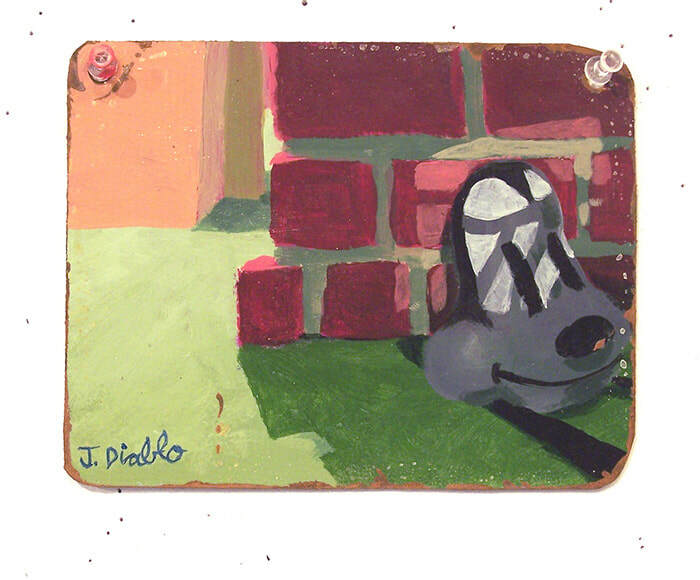 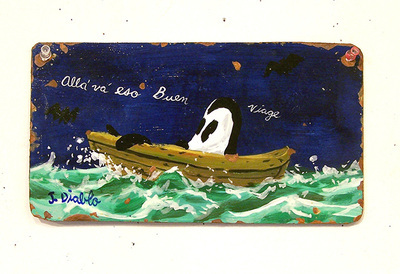 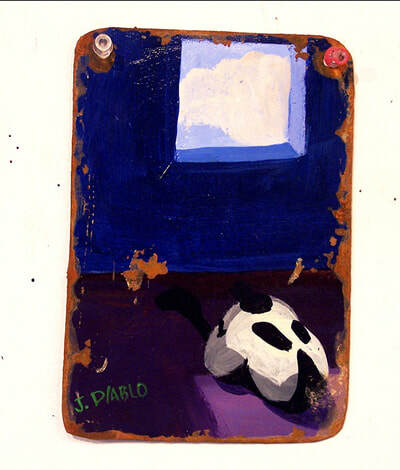 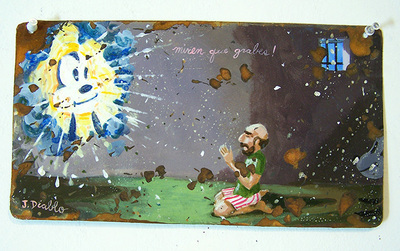 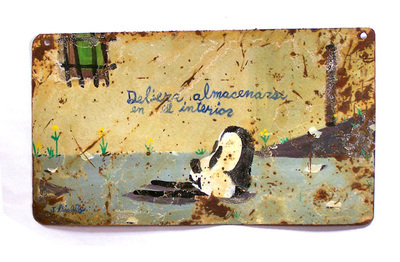 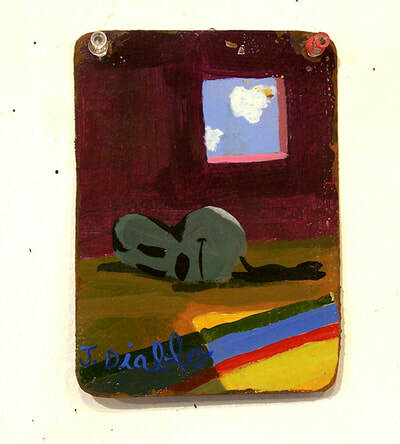 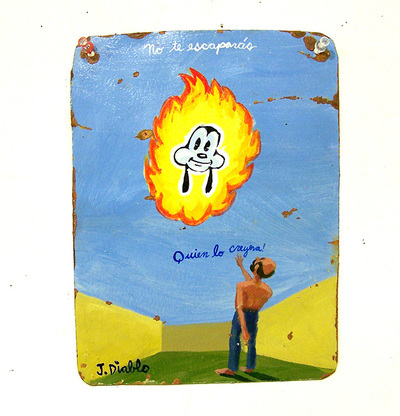 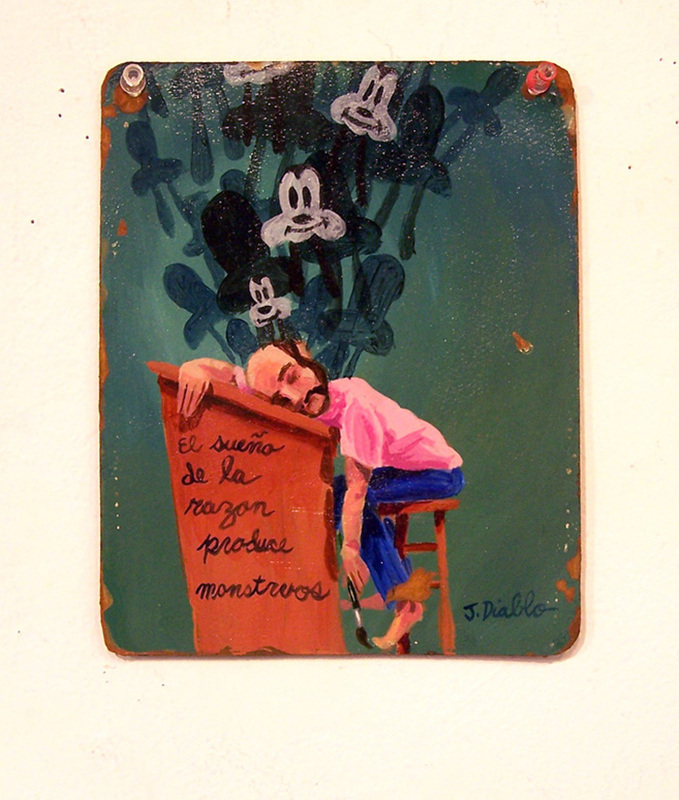 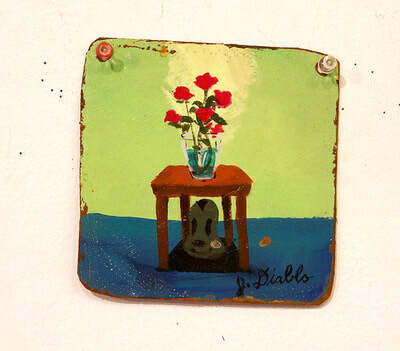 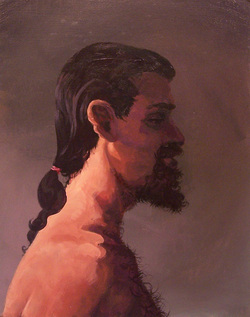 Diablo soon retreated from this practice and started to use the Doof in the traditional format of the retablo. 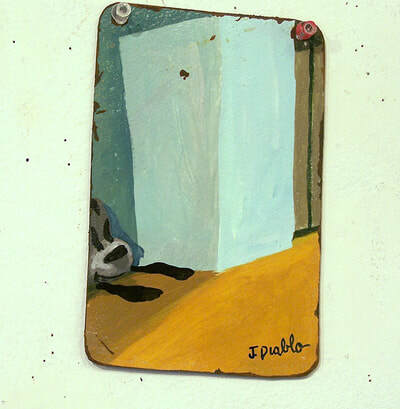 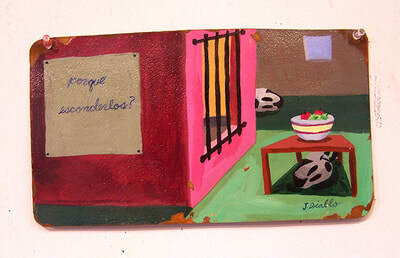 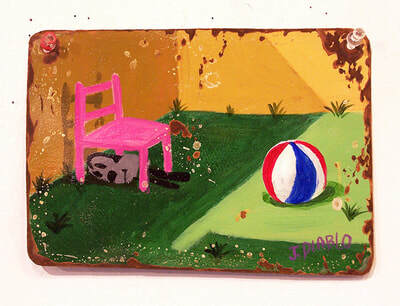 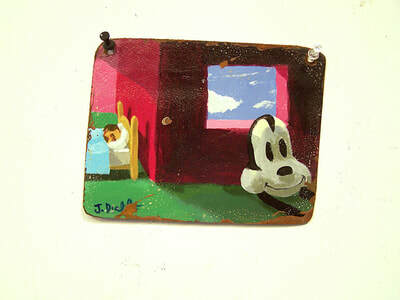 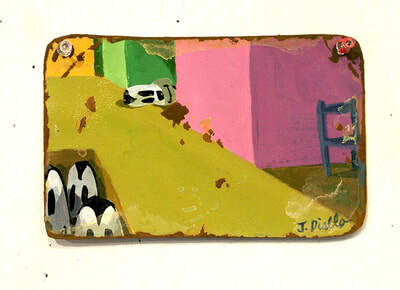 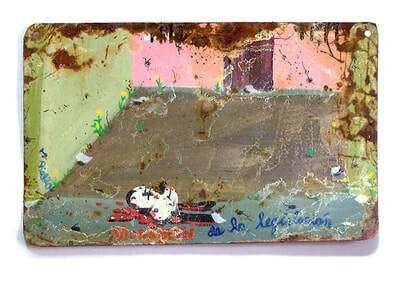 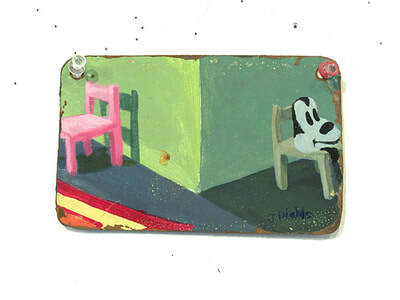 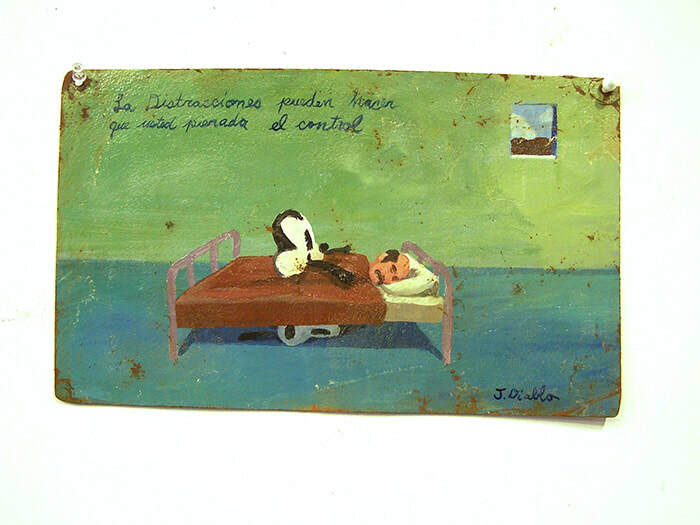 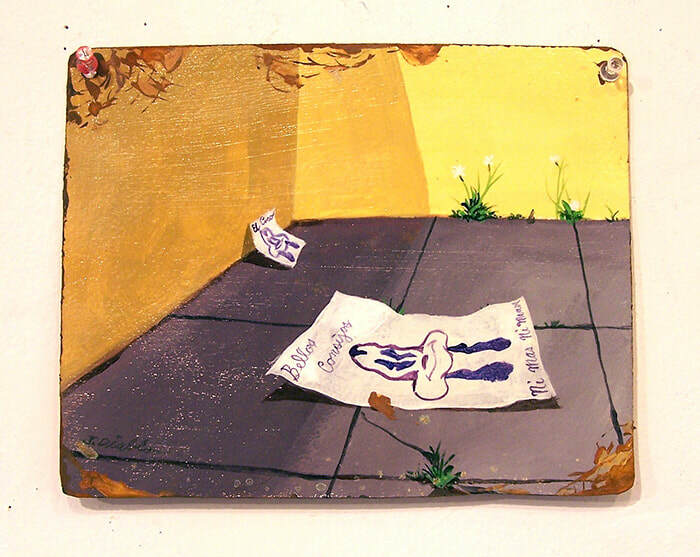 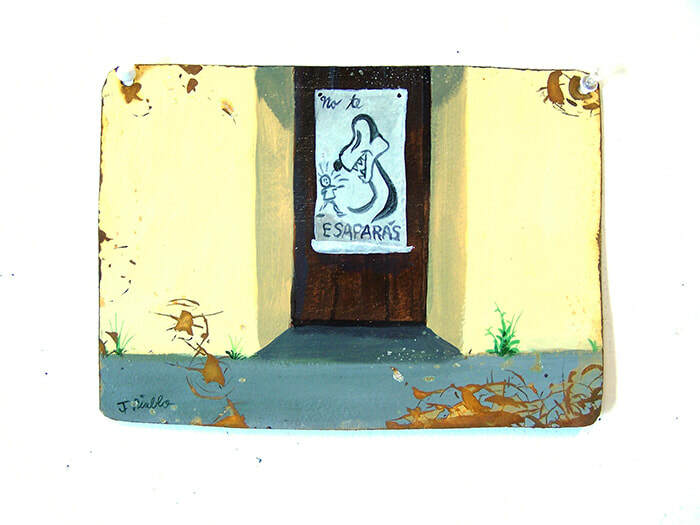 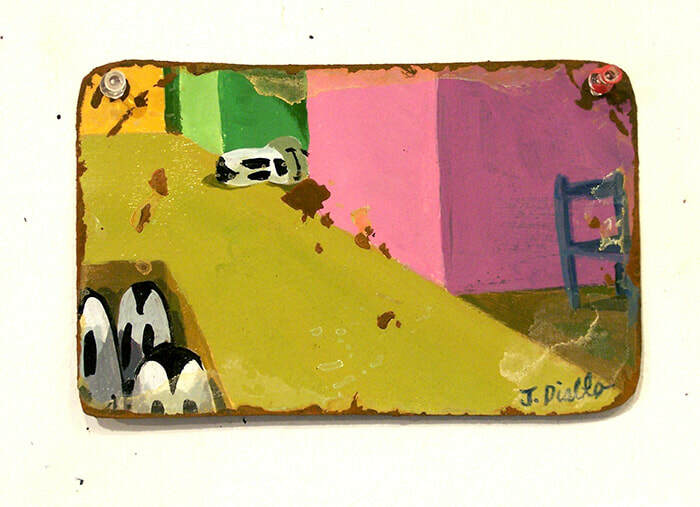 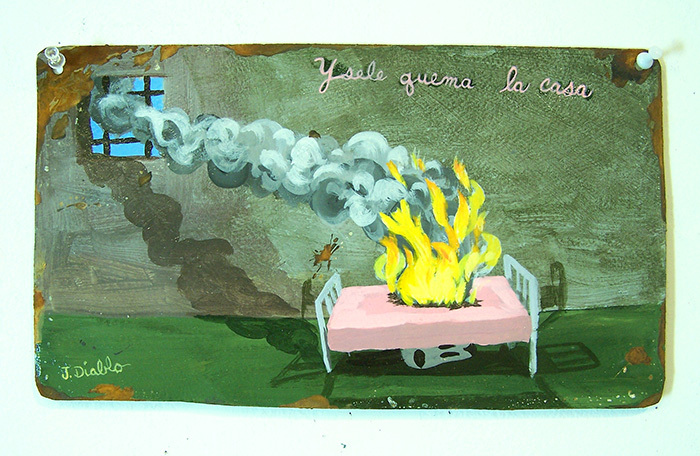 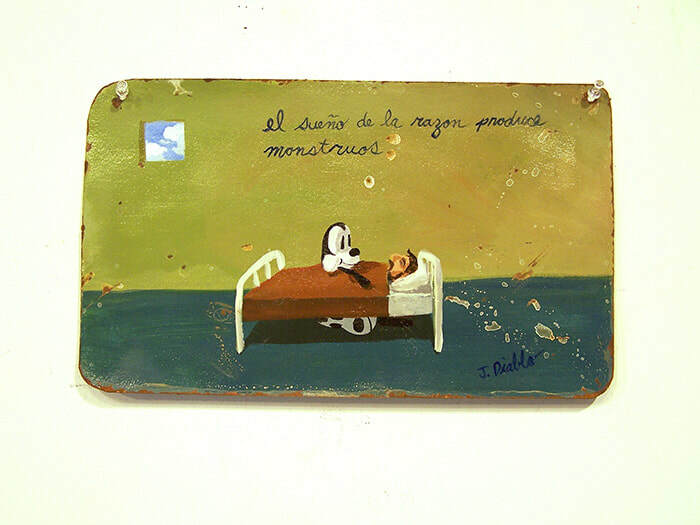 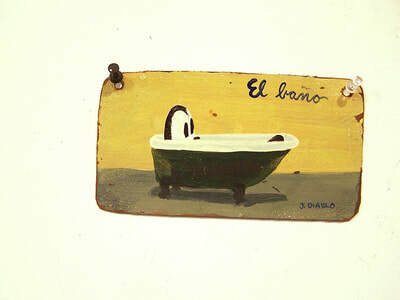 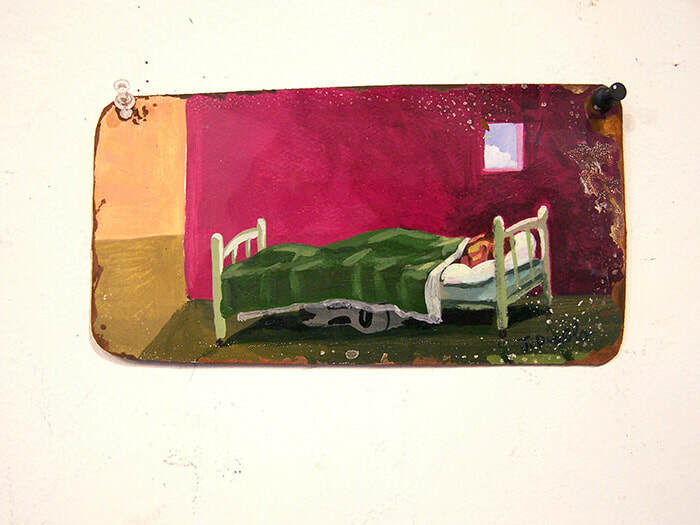 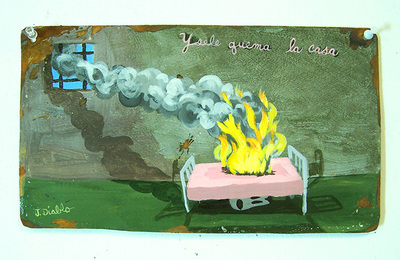 His retablos has the Doof as a vision or night visitor that haunts a balding middle aged artist in his pajamas.